Six members of the Springbok squad that recently returned from Australasia will feature in the Currie Cup this weekend in an additional treat for spectators who will be in line to receive free boerewors and braai spice sachets at host stadiums in celebration of Heritage Day on Monday. 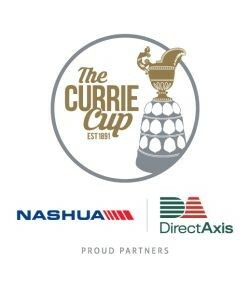 Springbok squad members Ross Cronje (Xerox Golden Lions), Thomas du Toit (Cell C Sharks), Wilco Louw, Bongi Mbonambi, Sikhumbuzo Notshe and Damian Willemse (DHL Western Province) will wear their provincial colours this week in the Currie Cup, sponsored by Nashua and DirectAxis Financial Services. Another two Springboks who were on the plane back from Down Under on Sunday, Marco van Staden and Embrose Papier, will be in action for the Vodacom Blue Bulls Presidents XV in Windhoek on Saturday, as they have a Currie Cup bye this weekend. SA Rugby also announced on Thursday that the first 250 children under the age of 13 to arrive at the three Currie Cup Premier Division matches this weekend will receive free boerewors, while all attending spectators will receive braai spice sachets, sponsored by Crown National. The main match-ups of the weekend will be in Durban and Cape Town respectively on Saturday, where the unbeaten Cell C Sharks host the Xerox Golden Lions, and DHL Western Province – also undefeated – meet Tafel Lager Griquas. Friday’s clash between the Toyota Free State Cheetahs and iCOLLEGE Pumas will mark the Free Staters’ final game of the season, as they have already been knocked out of the semi-final race. Despite this, the men from Bloemfontein are expected to be fired up to earn a victory after going down in all five of their pool matches so far. They will, however, face a strong challenge from the iCOLLEGE Pumas, who will look to bounce back strongly from three successive defeats to keep alive their faint semi-final hopes. The Toyota Free State Cheetahs made three personnel changes to their side, with Elandre Huggett, Dennis Visser and Jannes Snyman being drafted into the starting line-up, while young prop Morgan Naude will make his iCOLLEGE Pumas debut in a team that also features Jeandré Rudolph. 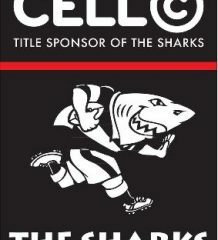 The Cell C Sharks will have their sights on cementing their semi-final spot with a victory in their last round-robin home game. But they will face a Xerox Golden Lions side hurting from a disappointing defeat last week, and who will also be assured of a semi-final spot if they win. The Durbanites have a solid track record against the Johannesburg outfit in Durban where they have suffered only one defeat since 2008. Cronje will lead the Xerox Golden Lions, which features a new-look front row as Pieter Jansen and Johannes Jonker scrum down with Sti Sithole, while the Cell C Sharks included Du Toit and Curwin Bosch in their run-on team, while another Bok, Coenie Oosthuizen, has been drafted onto the bench. In Cape Town, DHL Western Province will target a strong start against Tafel Lager Griquas, while the opposition will look to build momentum after their first win. The visitors will draw inspiration from the fact that they have matched the hosts 21 tries so far this season, but they need to tighten up their defence significantly to earn their first away-win against the Capetonians dating back to pre-1996. DHL Western Province named all four returning Springboks in their starting team, with Willemse at fullback, while another former national player, JJ Engelbrecht, is on the left wing. Tafel Lager Griquas’ six changes sees Junior Springbok scrumhalf Zak Burger earn a start in a side a new front row of Devon Martinus, Khwezi Mkhafu and Nicolaas Oosthuizen. Fans at Jonsson Kings Park will be able to find and tag themselves on an interactive 360o FANCAM image, compliments of DirectAxis Financial Services, which can be shared on social media by registering on directaxis.fancam.com. A virtual Currie Cup trophy will also be hidden on the image, and those who find it stand a chance to win a VIP trip to the Currie Cup final. 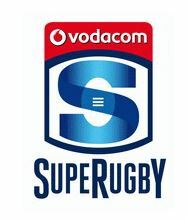 The Currie Cup First Division – also sponsored by DirectAxis Financial Services and Nashua – will deliver its fair share of action, as the Leopards look to stretch their unbeaten run, while the pressure rises significantly for the Boland Cavaliers and Border Bulldogs in their penultimate pool matches. In Potchefstroom, the Leopards will have their sights set on earning their fourth victory in a row and reclaiming the top spot on the log and after last week’s bye when they take on the Border Bulldogs on Friday. With the visitors high on confidence following back-to-back wins, the Leopards will have to hit their straps from the outset. Border will also draw motivation from the fact that they came within four points or less of beating the Leopards in their three encounters. The bottom-of-the-table clash between Eastern Province and Griffons in Port Elizabeth on Saturday will be fuelled by desperation as both teams give everything to earn their first victory of the season. Both sides have their backs against the wall, as they have to win their three remaining matches to keep alive their slim hopes of advancing to the semi-final, which could result in a spectacle. The desire for semi-final berths and a possible home semi-final, meanwhile, will be the driving force when the Boland Cavaliers host the Hino Valke in Lamberts Bay on Saturday. The men from Kempton Park are currently in third place on the standings, one point ahead of Boland, and a victory for either side could launch them into the top two on the log.